BREAKING NEWS: The Cape May Police Department in New Jersey responded to a call of delinquency. 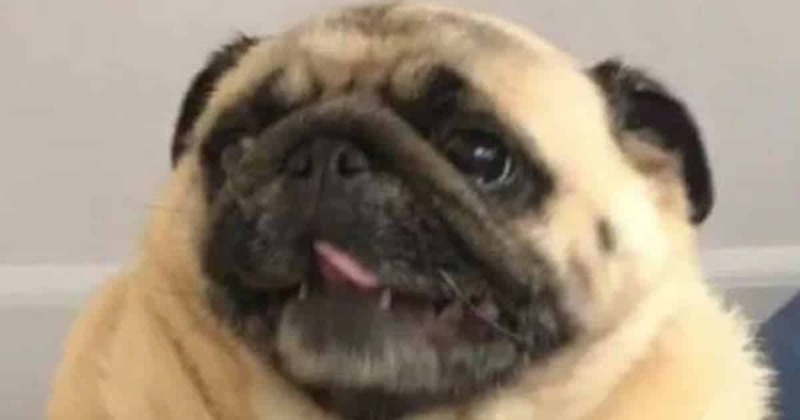 A pug had burst free of her home and was rampaging across the town in a flurry of smiles and kisses. 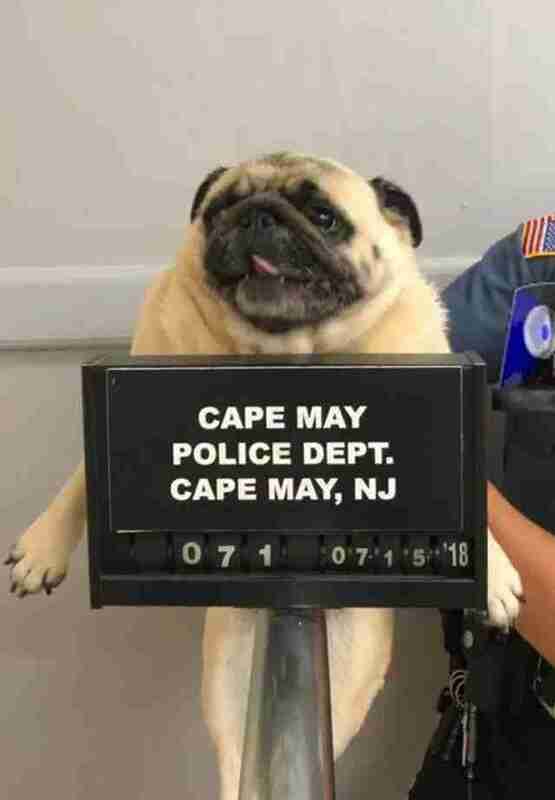 “Our officer went down and found the dog, picked her up and brought her back to the station,” Anthony Marino, Cape May Police chief, told The Dodo. This mischevious dog had become thoroughly lost. 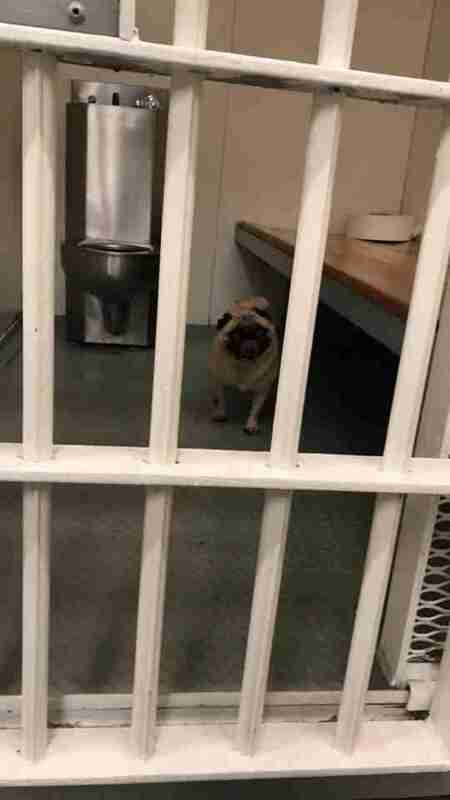 In the meantime, the hardened criminal was brought into a cell to consider what she’d done. Because it went viral, they were able to find this rascal’s owner. 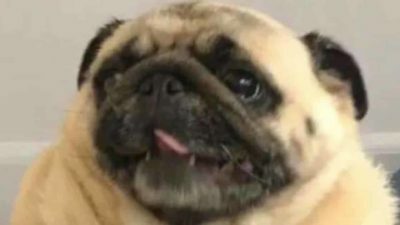 The pug named Bean was finally returned home. Hopefully this criminal has been reformed.